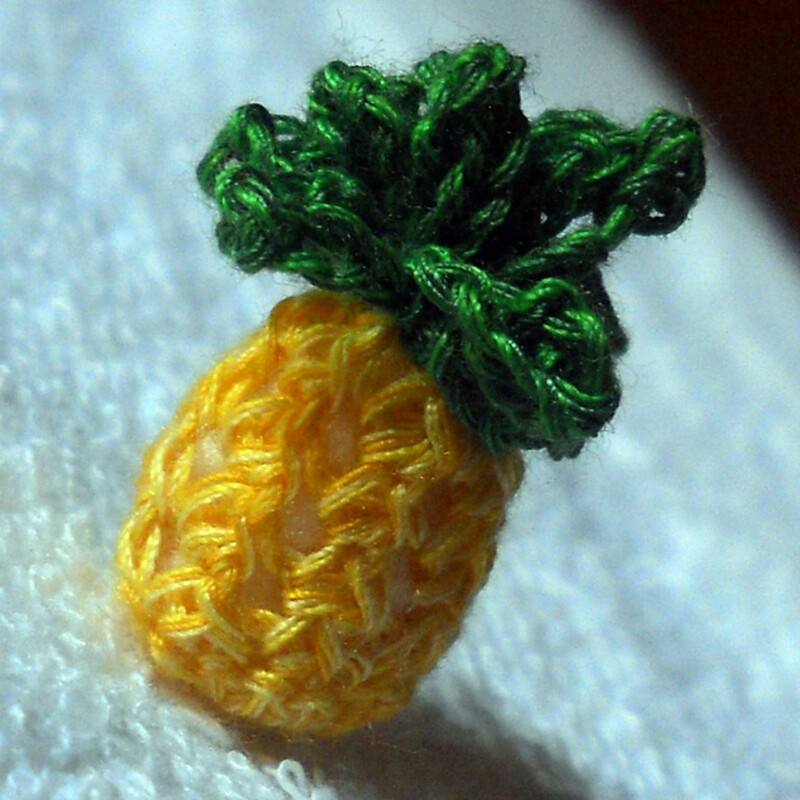 The body of this pineapple amigurumi is crocheted using the pineapple stitches. See how perfectly it mimics the texture of pineapples. That's probably why it's named as such. 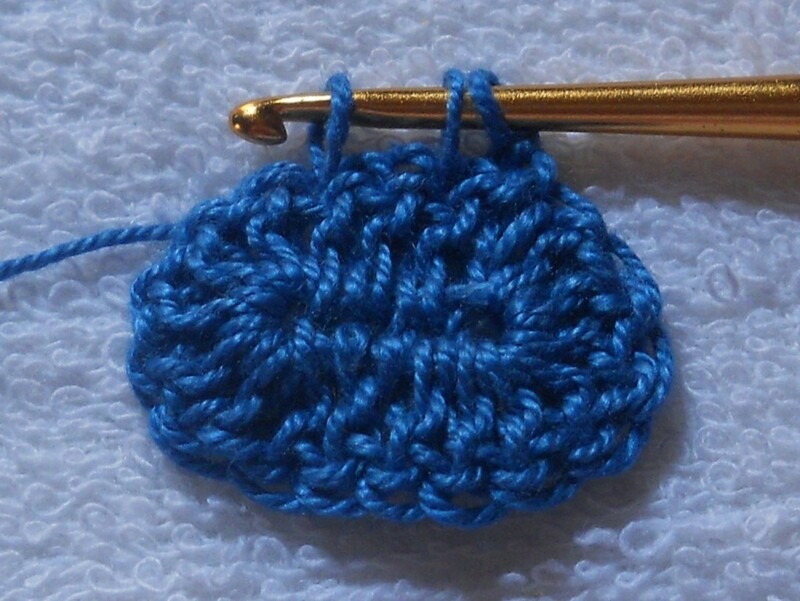 The pineapple stitch is one of my favorite crochet stitches ever. After I discovered this stitch in one of the volumes of a needlecraft encyclopedia in my college library, I've been hooked. The look of inverted hearts piled over each other and the thick textured crochet fabric it produces is more than enough to entice me. 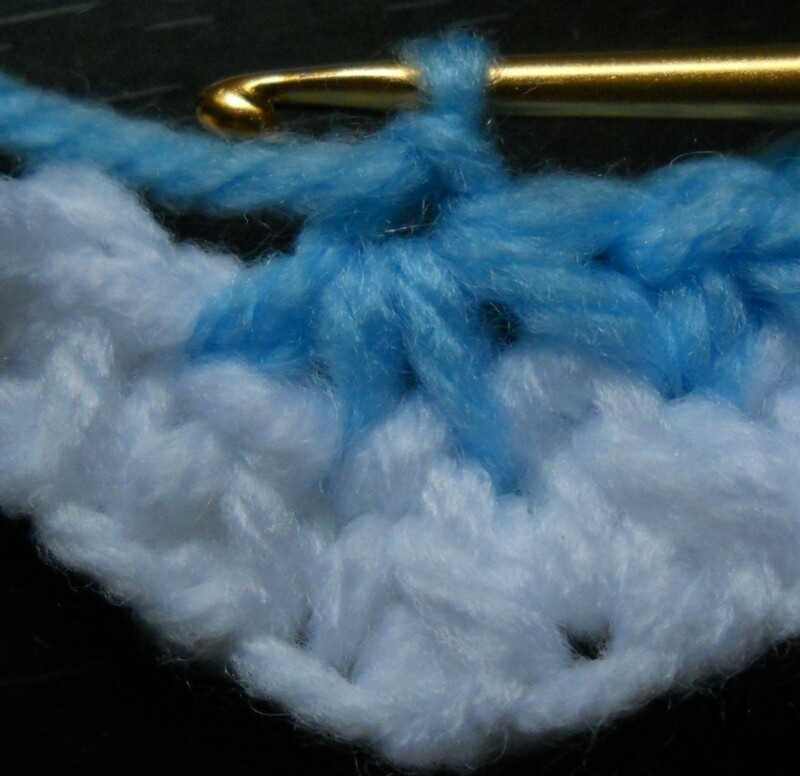 However, it's a mystery to me why I haven't found any modern pattern using this stitch. 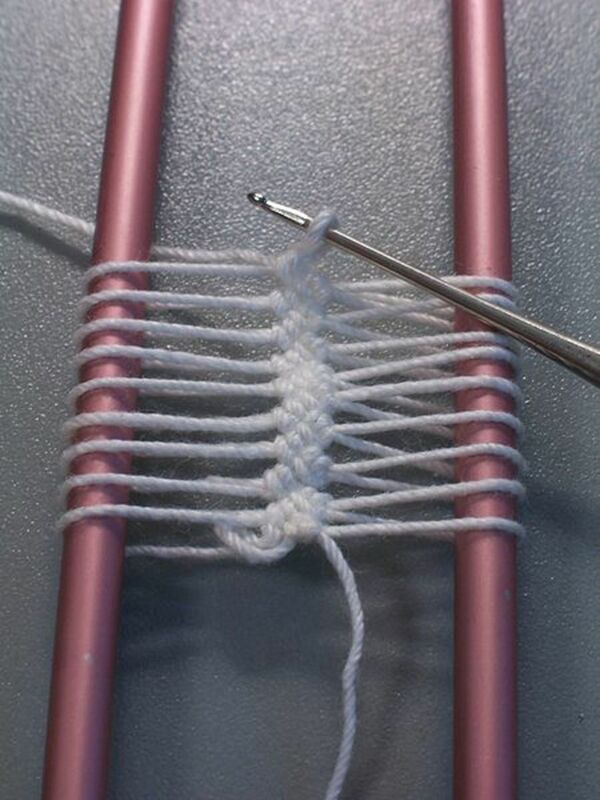 When I Googled it, the pages that came out only shows how to do the stitch and NOT how to use it. 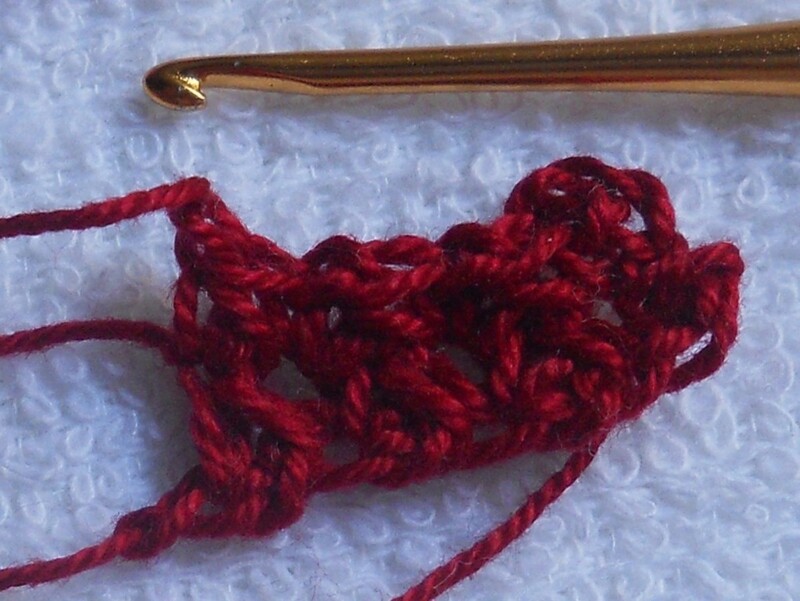 Even Ravelry does not include the stitch in its listing of crochet techniques. 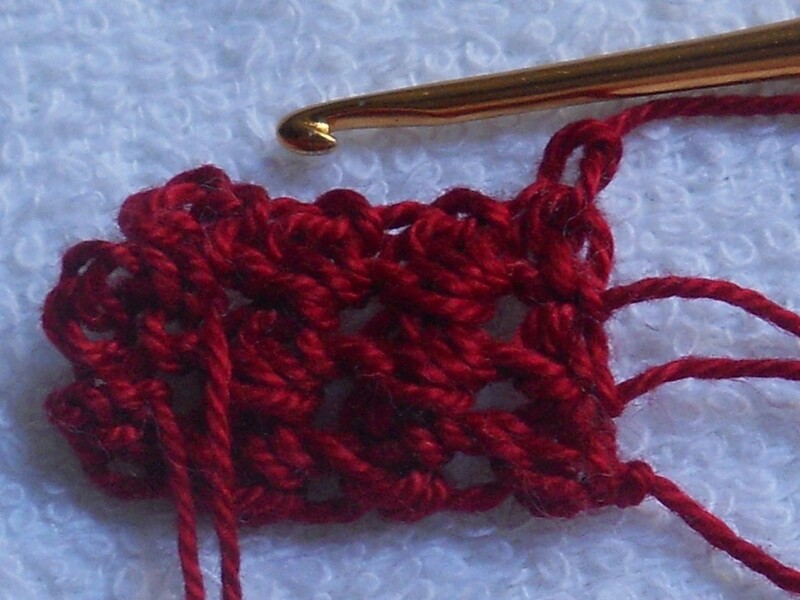 It probably has to do with the way the pineapple stitch is crocheted to make a rectangle. 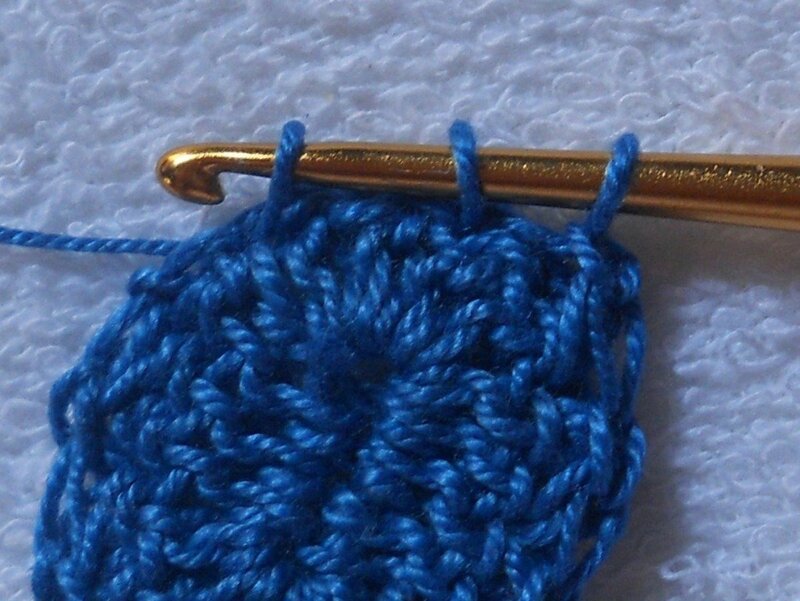 It is worked from the one side only which requires breaking off at each end of the row and attaching yarn again at the beginning of the row. This results into a lot of loose ends, which can be utilized as fringes. 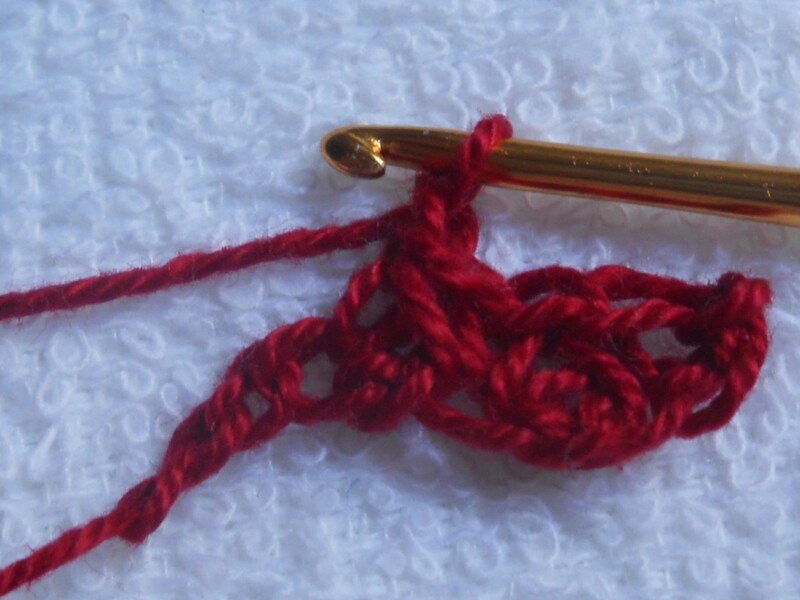 But working this way is cumbersome, wastes a lot of yarn, and well, uhm, boring. 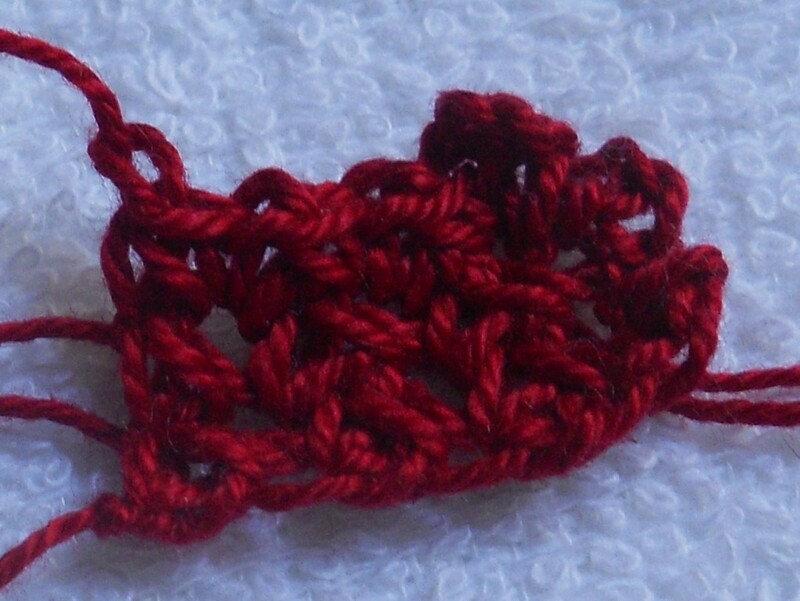 Moreover, the resulting crochet fabric is slightly biased. Blocking is very much required. 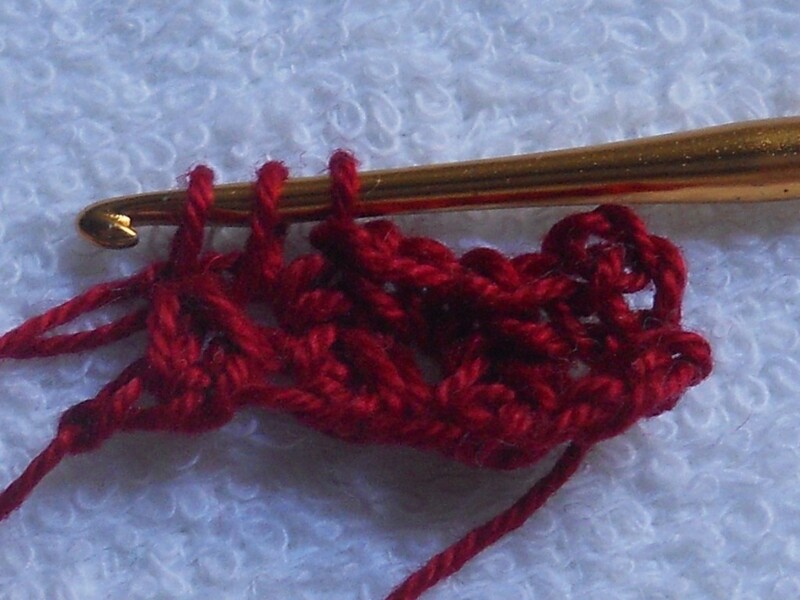 Well I don't want this beautiful stitch to rot in vintage crochet books. 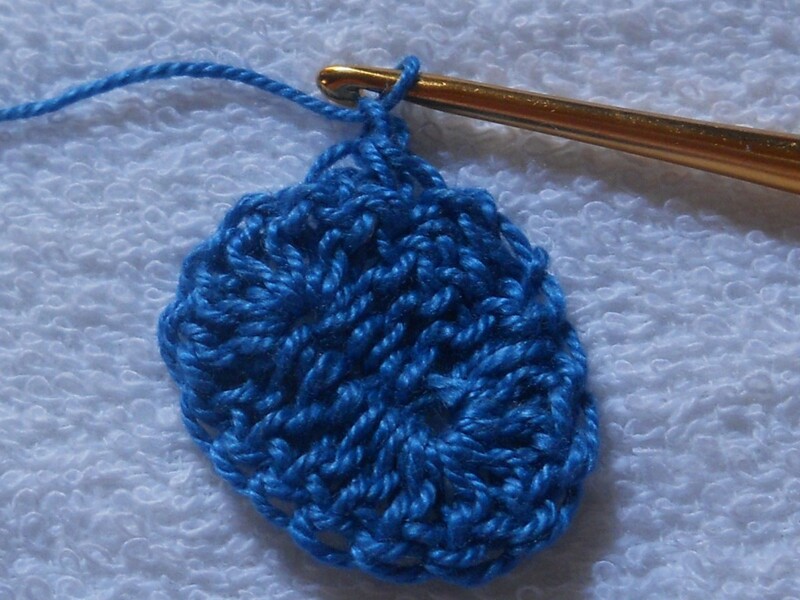 Here are various ways to work the pineapple stitch and use it in crochet projects, too. 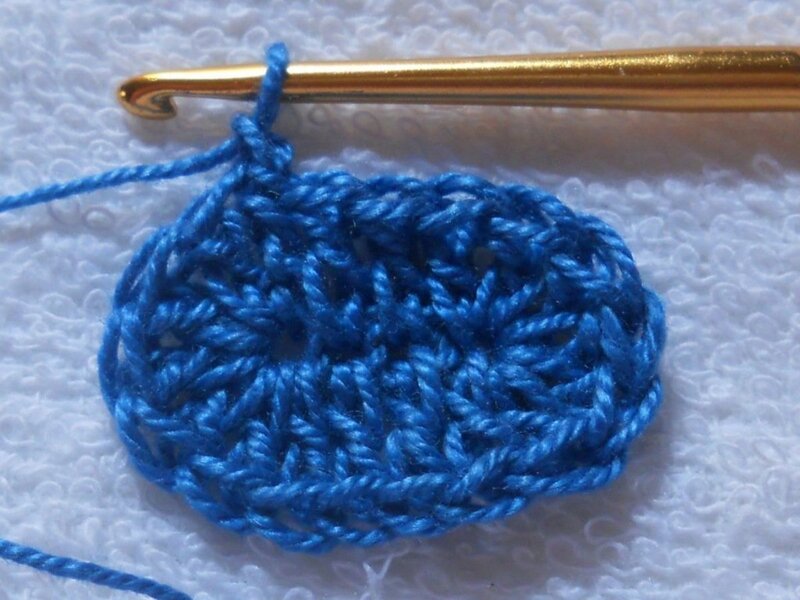 Before crocheting the pineapple stitch, it is best to study its anatomy first. This will make it easier to give instructions about its variations later on. The diagram floating right will be used as the chart symbol for the pineapple stitch in all of my patterns. 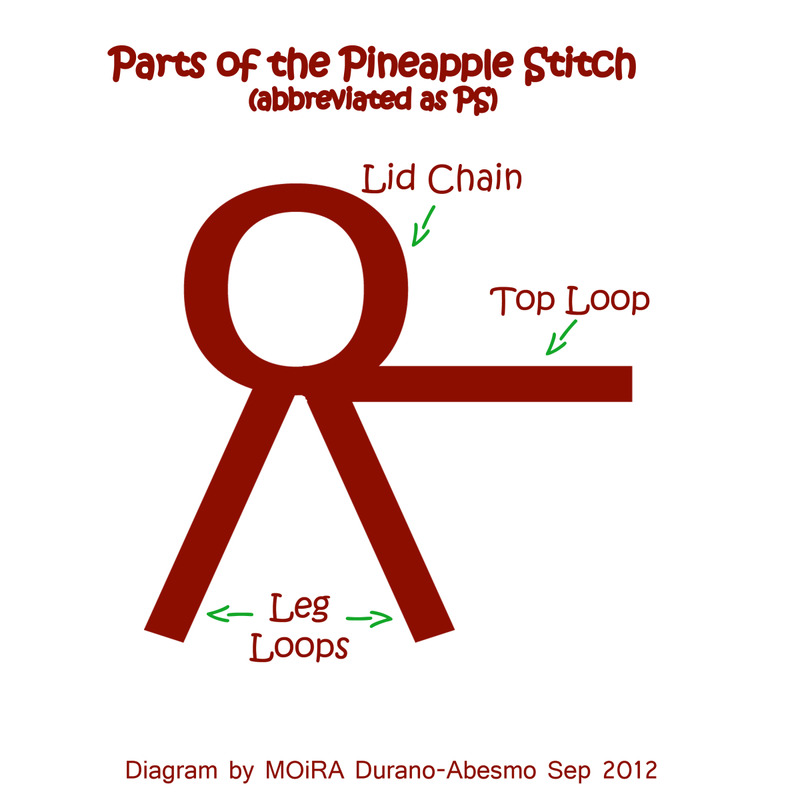 The pineapple stitch will be abbreviated as ps. FIRST PS: Draw a loop in the 4th ch from hook. 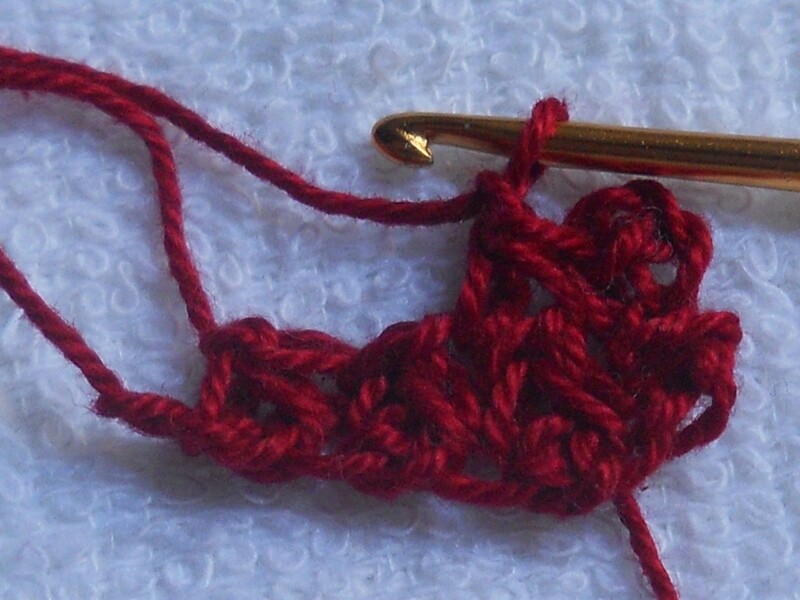 The first loop on hook will become the TOP LOOP, while the loop just added will be the FIRST LEG LOOP. Skip a ch, draw a loop in the next ch. This loop will be the SECOND LEG LOOP. Y o, draw a loop through all three (3) loops on hook. 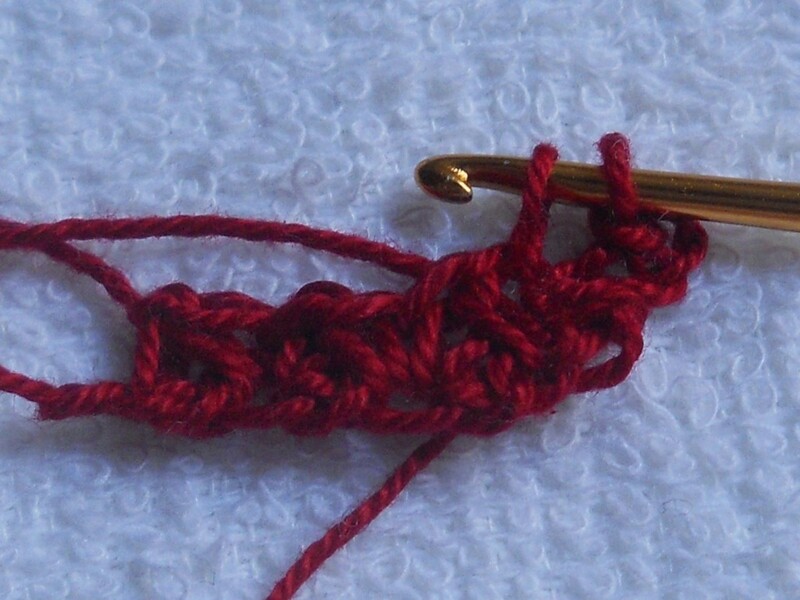 Close the stitch with a chain. This is the LID CHAIN. SUCCEEDING PS: Draw a loop in the SAME CH. Skip a ch, draw a loop in the NEXT CH..
Y o, draw through all loops on hook, ch 1. 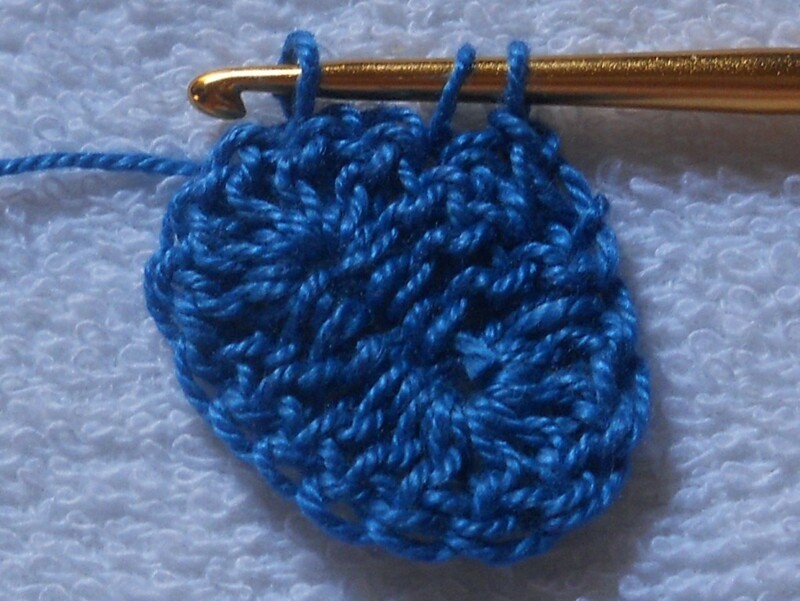 ROW 2: Attach yarn at the FIRST TOP LOOP of previous row. FIRST PS: Draw a loop in the FIRST TOP LOOP. Draw a loop in the the NEXT TOP LOOP. SUCCEEDING PS: Draw a loop in the SAME TOP LOOP. 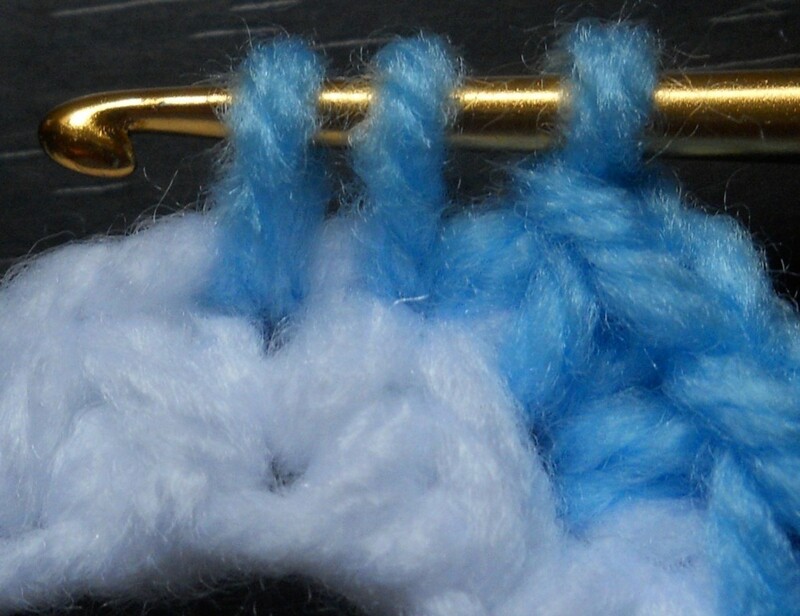 Draw a loop in the next top loop, y o, draw through all loops on hook, ch 1. LAST PS: Draw a loop in the SAME TOP LOOP, draw a loop in the LID CHAIN. 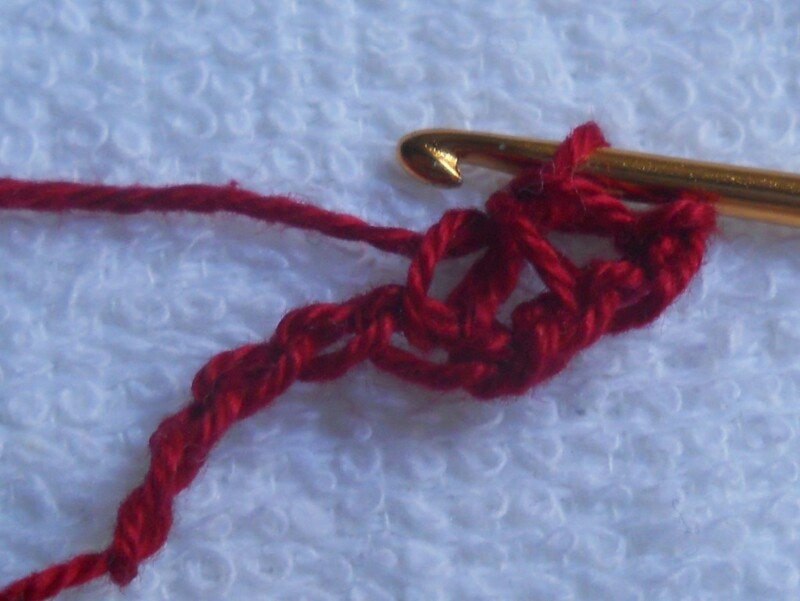 Y o, draw through all loops on hook, ch 1. 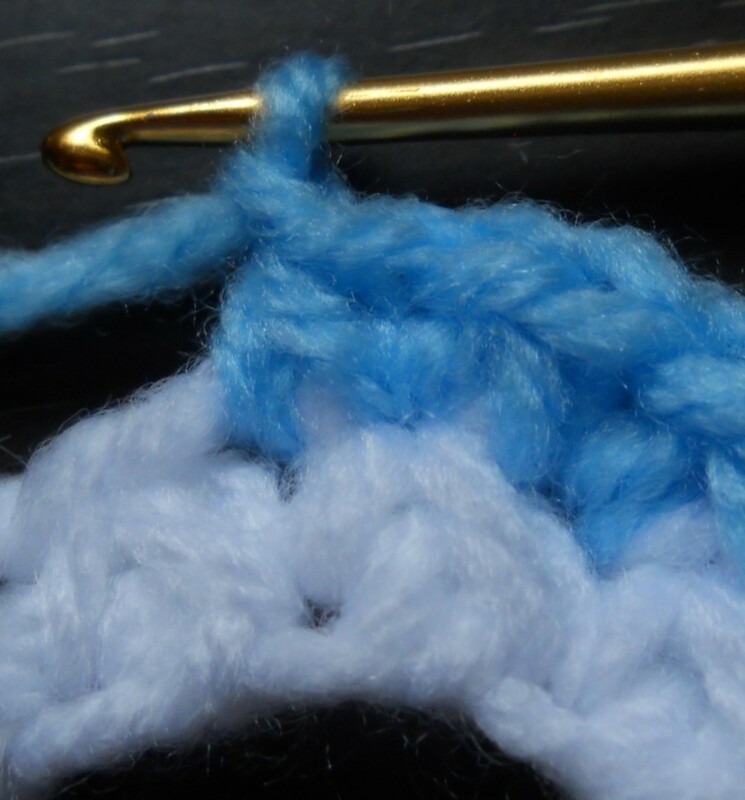 Break off yarn BUT DO NOT FASTEN OFF YET. Fasten off the loose end from the previous row. Photo shows 3 rows done. The loose ends of rows 1 and 2 are fastened off while that of row 3 is not. Photo shows the wrong side. The texture on this side is just as beautiful, don't you think? 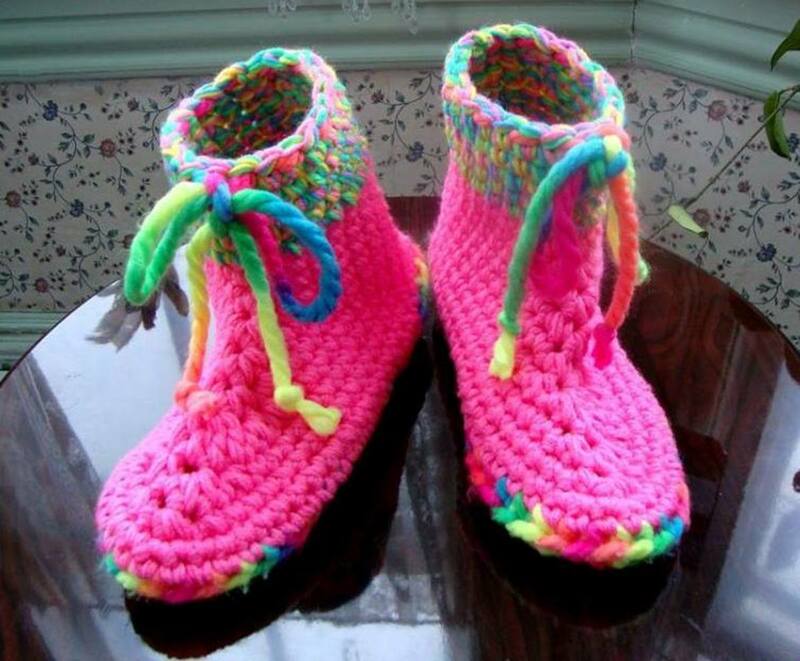 The following pattern is probably what you will find in vintage crochet books made available on the net. Foundation Chain: Make an even number of chains (multiple of 2). Step 1. Insert hook in the 4th ch from hook, draw a loop through. 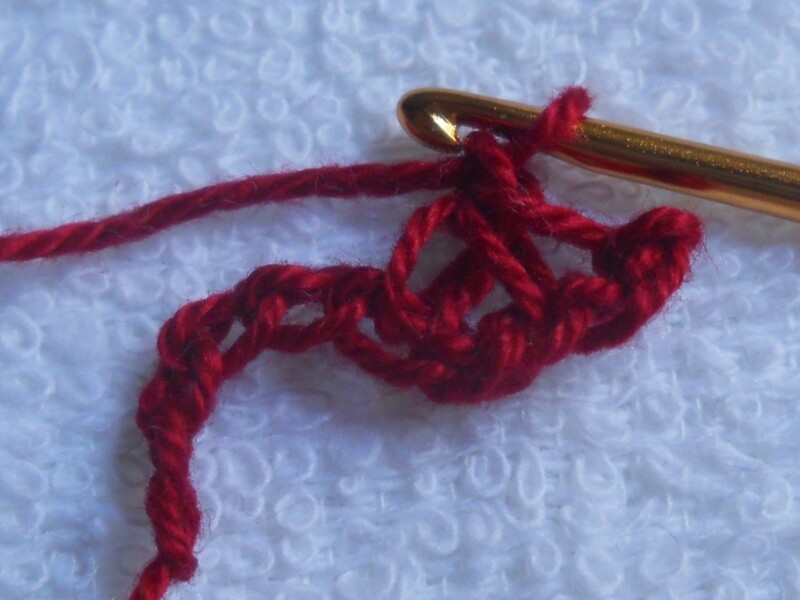 The first loop on hook will become the TOP LOOP, the second loop will be the first LEG LOOP. Step 2. Skip a chain, insert hook in next ch, draw a loop through. 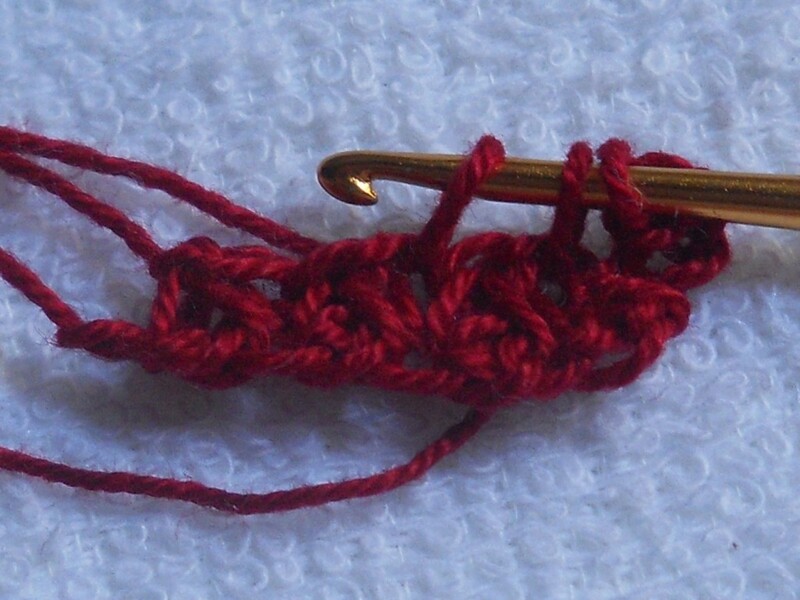 The third loop on hook will be the second LEG LOOP. Step 3. Y o, draw through all 3 loops on hook, ch 1. The chain just made will become the LID CHAIN. Step 4. Insert hook in same ch, draw a loop through. Step 5. Skip a chain, insert hook in next ch, draw a loop through. Step 6. Y o, draw through all 3 loops on hook, ch 1. Repeat Steps 4 - 6 till end of Foundation Chain. Break off BUT DO NOT fasten off YET. 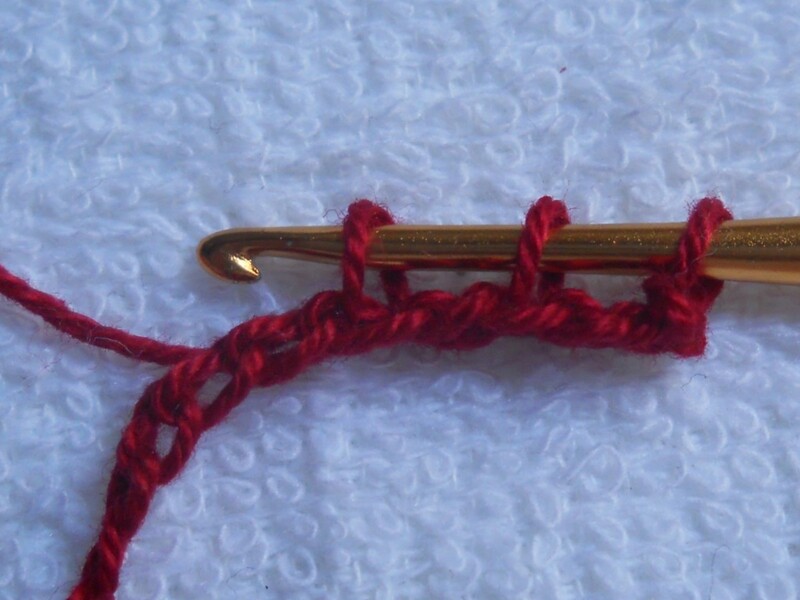 Attach yarn in the FIRST TOP LOOP of previous row. Step 1. 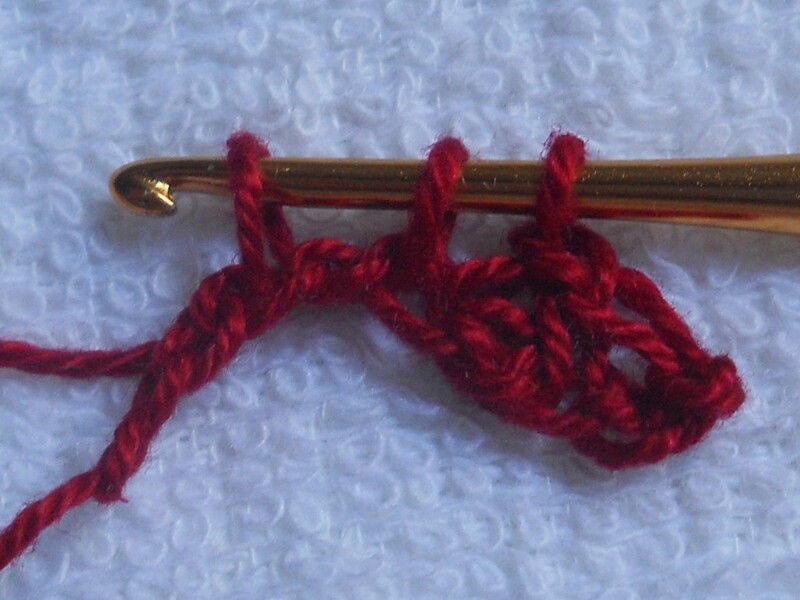 Insert hook in the FIRST TOP LOOP, draw a loop through. Step 2. Insert hook in NEXT TOP LOOP, draw a loop through. Step 4. Insert hook in SAME TOP LOOP, draw a loop through. 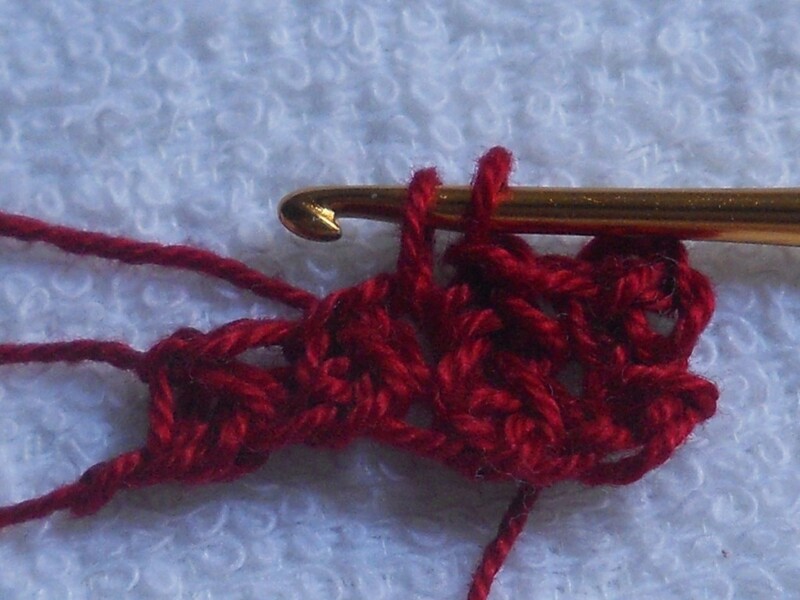 Step 5.Insert hook in NEXT TOP LOOP, draw a loop through. Repeat Steps 4 - 6 till second to the last ps. Step 7. Insert hook in SAME TOP LOOP, draw a loop through. Step 8.Insert hook in LID CHAIN, draw a loop through. Step 9. Y o, draw through all 3 loops on hook, ch 1. Fasten off the loose end from the previous round. I don't normally work the pineapple stitch in rows but I did for this headband I crocheted for my first daughter. 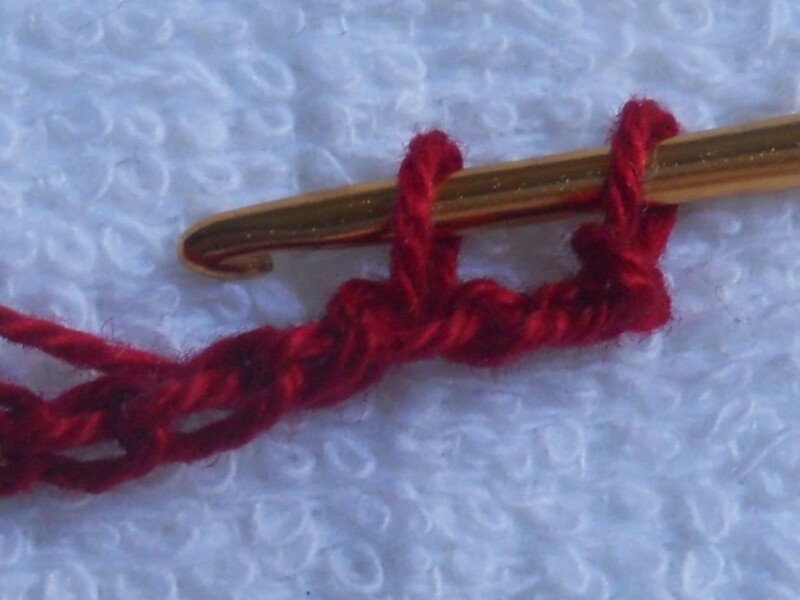 The loose ends of each row was utilized as a lock for the headband. 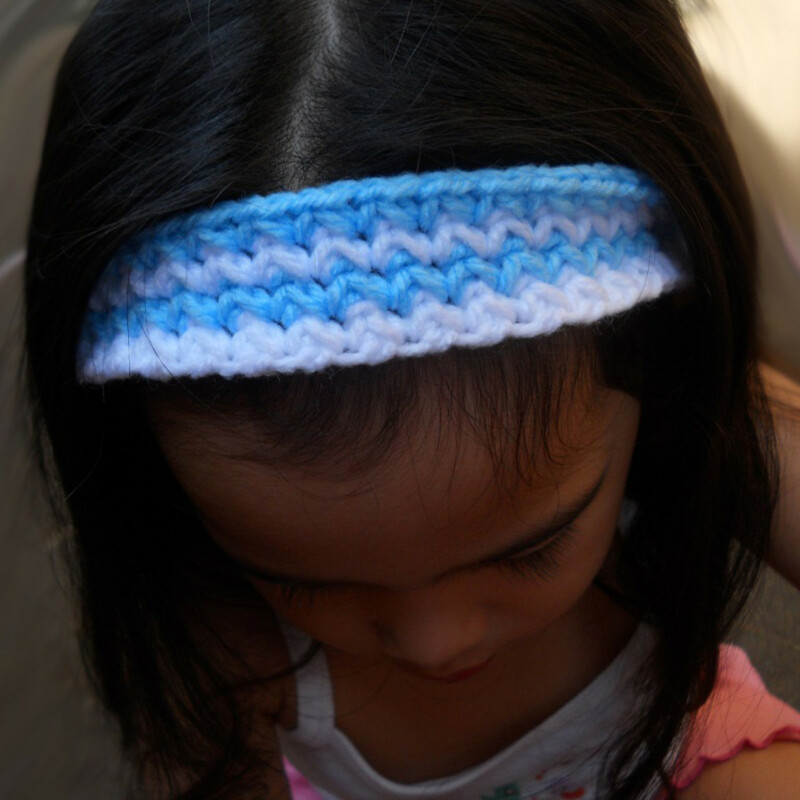 This allows the headband to fit a toddler or an adult. It can also be modified to become a cozy head wrap. Ch 1, then turn to begin the round of ps. FIRST PS: Draw a loop in the first st (dc, sc, etc.). Skip a st, draw a loop in the next st. SUCCEEDING PS: Draw a loop from the SAME ST, skip a st, draw a loop from the NEXT ST.
LAST PS of first round: Draw a loop from the LAST ST, skip the turning ch (of previous round), draw a loop from the FIRST ST.
Y o, draw through all loops on hook, ch 1. 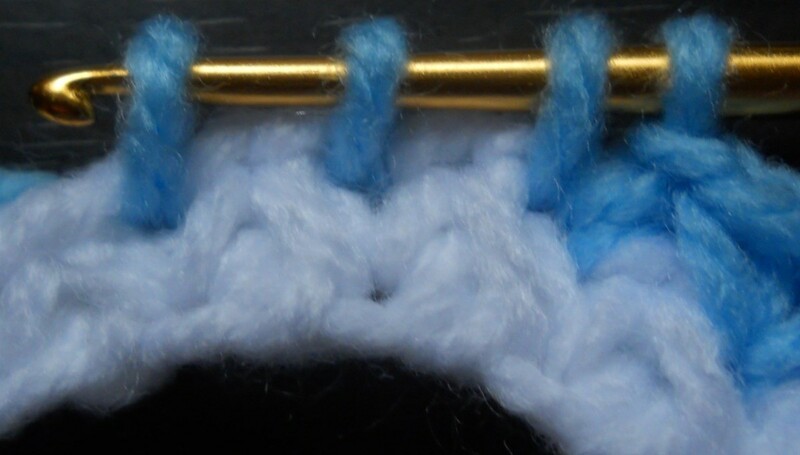 Note that the pineapple stitch just made overlaps with the first pineapple stitch. FIRST PS of Round 2: Draw a loop from the TOP LOOP of FIRST PS from previous round, draw a loop from the NEXT TOP LOOP. 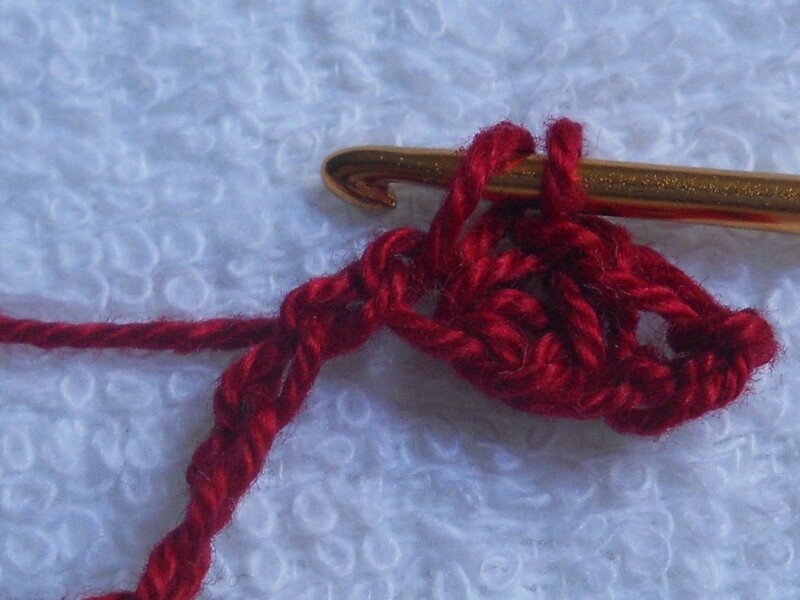 Y o, draw through all loops on hook and ch 1. 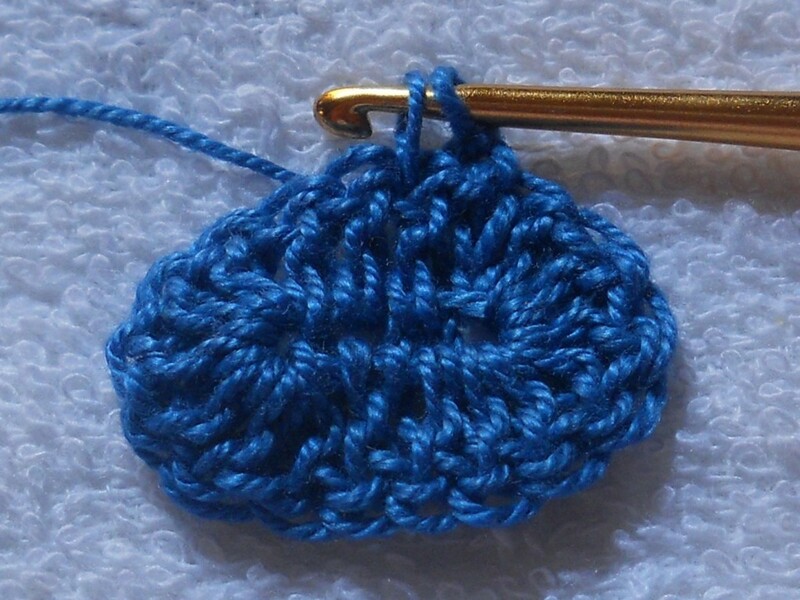 This is how I usually work my pineapple stitches - spirally in rounds. The resulting pineapple stitches will not lie in vertically straight piles but will lean towards the left. 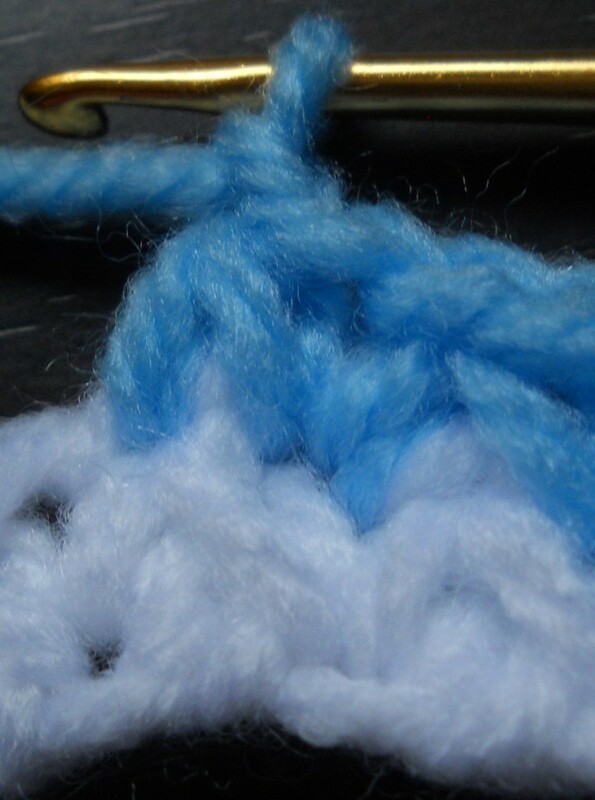 The photo tutorial floating right shows pineapple stitches being worked on top of an oval of dc's. The pattern begins with the first round of ps's. Step 1. Insert hook in FIRST DC*, draw a loop through. Step 2. Skip a dc, insert hook in NEXT DC, draw a loop through. Step 4. Insert hook in SAME DC, draw a loop through. Step 5. Skip a dc, insert hook in NEXT DC, draw a loop through. Repeat Steps 4 - 6 till LAST DC. Step 7. Insert hook in LAST DC, draw a loop through. 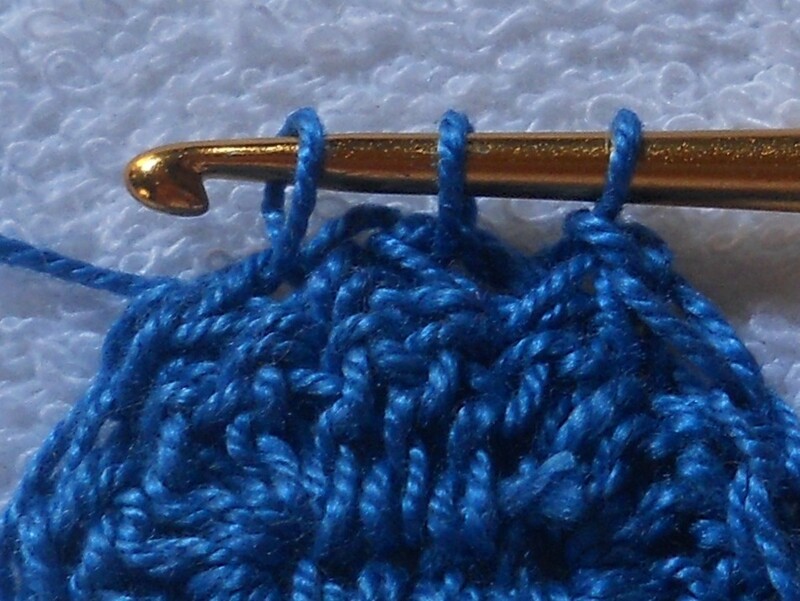 Step 8.Insert hook in FIRST DC*, draw a loop through. Step 9. Y o, draw through all 3 loops on hook, ch 1. DO NOT TURN. Repeat Round 2 as desired. 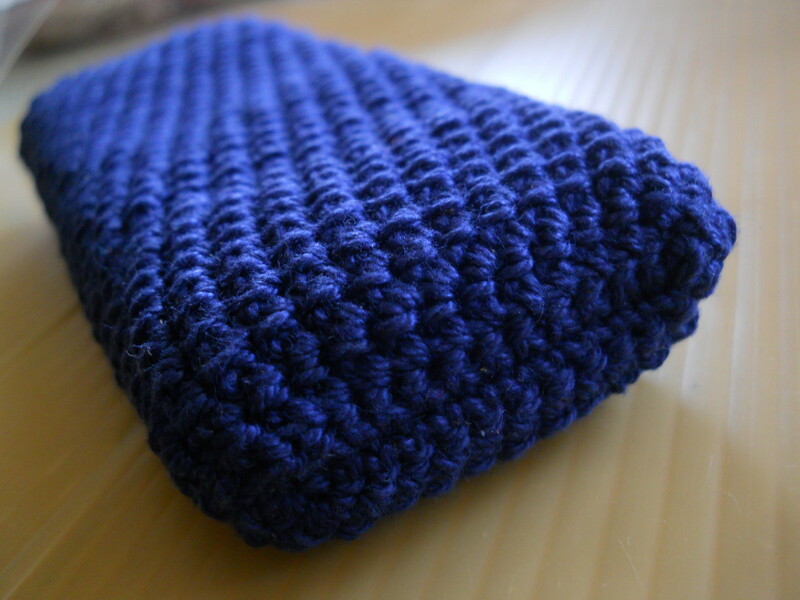 This phone cozy is for my sister's business phone. Instead of an oval of dc's, it begins with an oval of sc's. There is no skipping of stitches when the first round of ps's were made because I desire an increase in the circumference of the ps round. Notice how beautifully it hugs the phone. 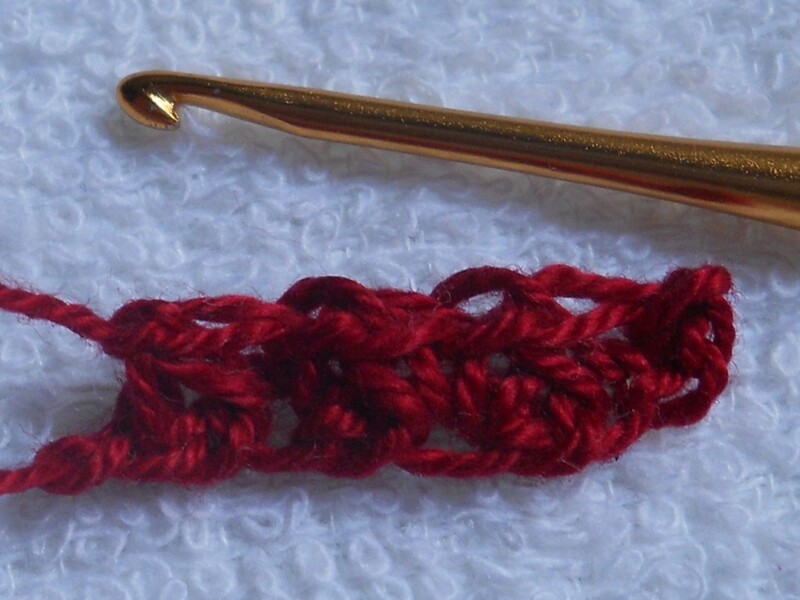 Will you use the pineapple stitch in your future crochet projects? Nope, it doesn't appeal to me much. I am using it long before you wrote this. I love it too! Draw a loop from the SAME TOP LOOP, draw another loop from the LID CHAIN. Draw a loop from the SAME LID CHAIN, draw a loop from the NEXT TOP LOOP. 2psdec: Draw a loop from the SAME TOP LOOP, (draw a loop from the NEXT TOP LOOP) 2x. Y o, draw through all 4 loops on hook, ch 1. 2psdec just finished. 3psdec: Draw a loop from the SAME TOP LOOP, (draw a loop from the NEXT TOP LOOP) 3x. Y o, draw through all 5 loops on hook, ch 1. The projects I have made so far only involves decreasing ps's. In the future though, I want to have a project that uses increases, too. Step 1. Insert hook in SAME TOP LOOP, draw a loop through. Step 2. Insert hook in LID CHAIN, draw a loop through. Step 3. Y o, draw through 3 loops on hook, ch 1. Step 4. Insert hook in SAME LID CHAIN, draw a loop through. Step 5. Insert hook in NEXT TOP LOOP, draw a loop through. Step 6. Y o, draw through 3 loops on hook, ch 1. 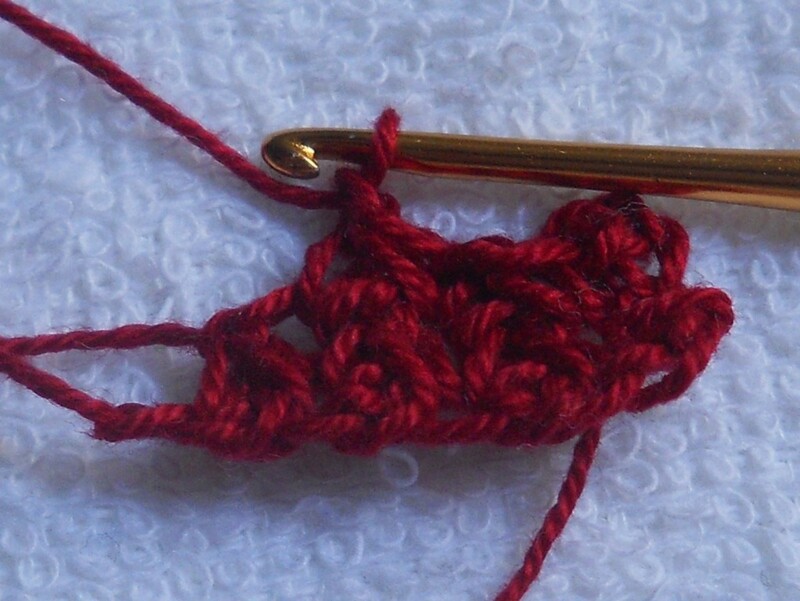 Step 2.Insert hook in NEXT TOP LOOP, draw a loop through. Step 4. Y o, draw through all 4 loops on hook, ch 1. Step 4. Repeat Step 2. Step 4. Y o, draw through all 5 loops on hook, ch 1. 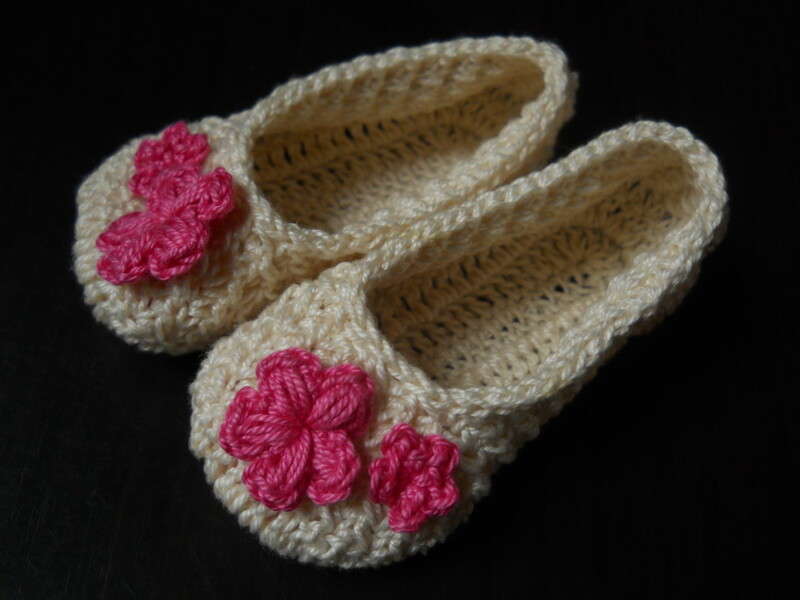 I'll be giving birth to another baby girl this November and had been racking my brain for something I could crochet for her. Somebody suggested I make booties for her and since I couldn't find any free pattern that I like, I just made one. 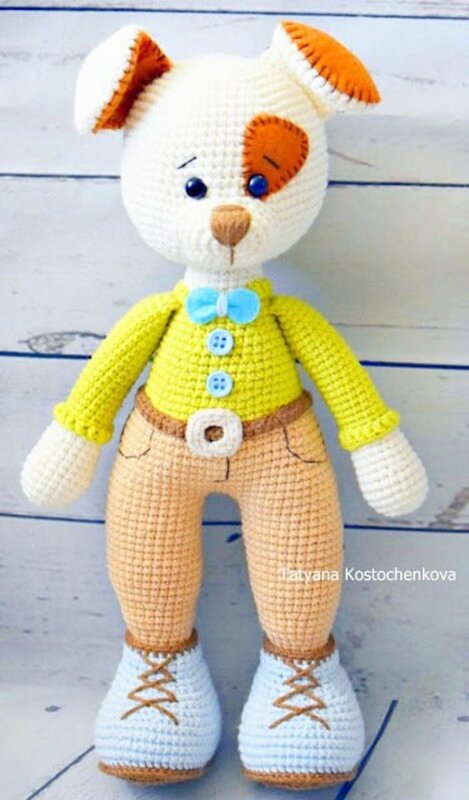 This free pattern is quite popular. 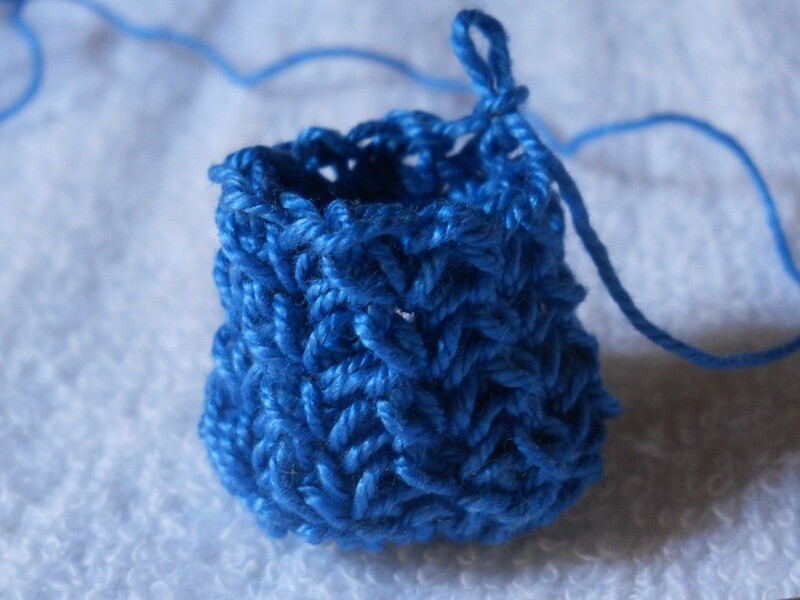 I never knew there was a great demand for cute crocheted baby booties out there. Check it out and I promise you won't be disappointed. I'm very proud of this design and pattern. You can work it in a round in a spiral kind of way. 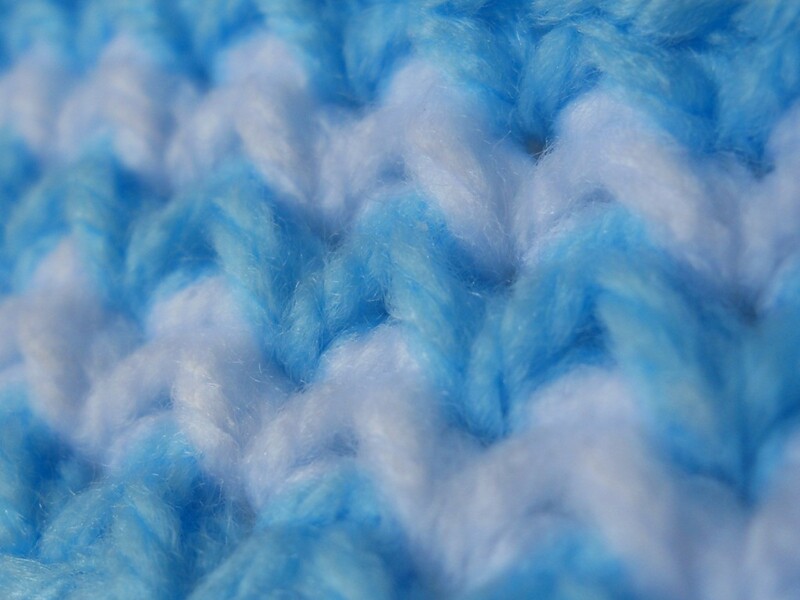 I really hoped to use this stitch to make a blanket, but I did not realize that you have to leave off after each row, yikes!! 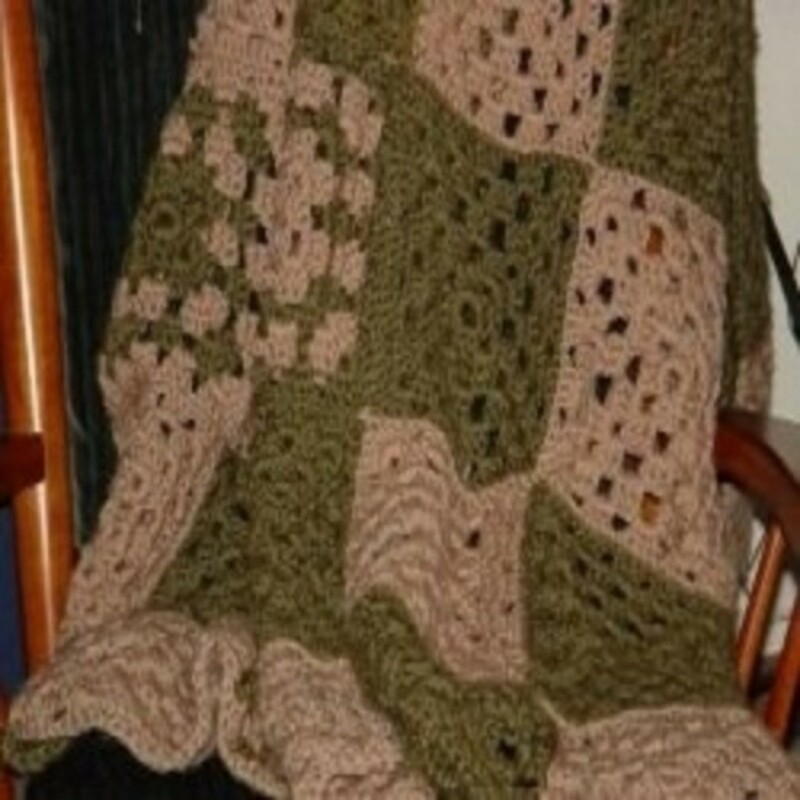 do you have any advice on how to do a blanket without that or possibly in a round? I liked that it looks like a knit. Thank you and beautiful work! Thanks Patrice. 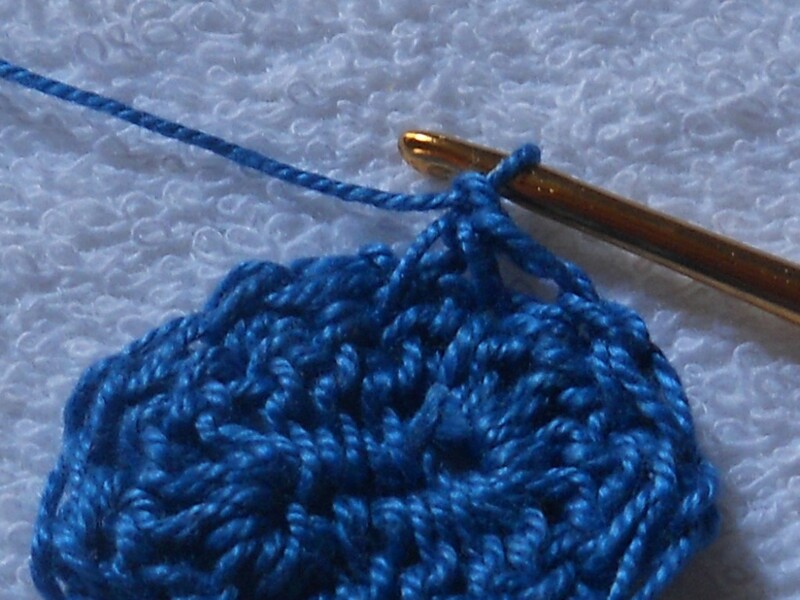 I'll check out the your blog about the star stitch. http://www.yarnoverpullthrough.com/the-star-stitch... 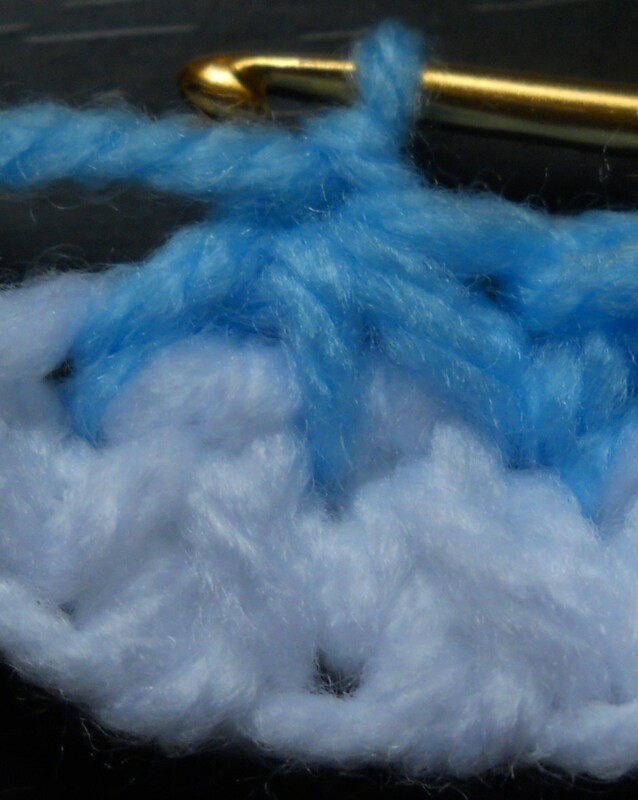 The post includes a video that I based my stitch for the phone cozy on. 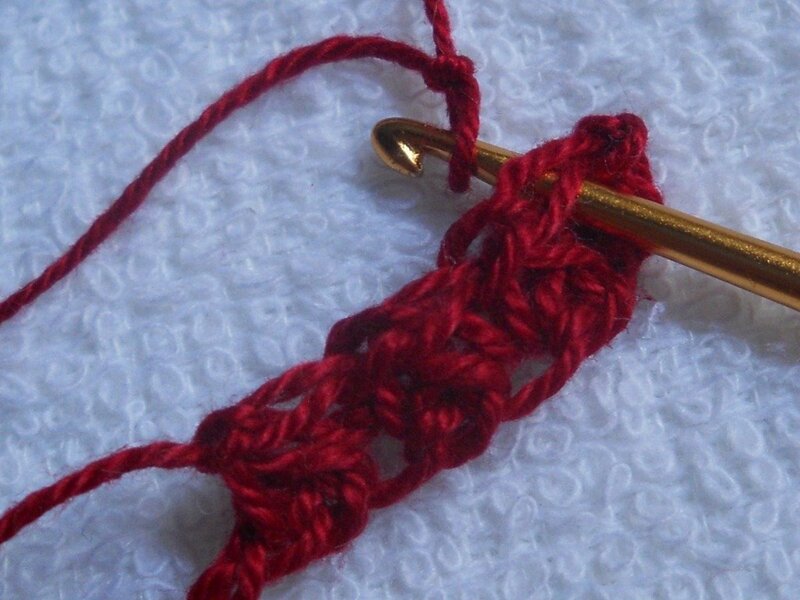 You're right about crocheting it in rounds Patrice. It's more convenient that way. I haven't heard of the Star or Daisy Stitch. Now that you mentioned it, I'll give that a try. Thanks! You like the pineapple amigurumi too, Silwen? 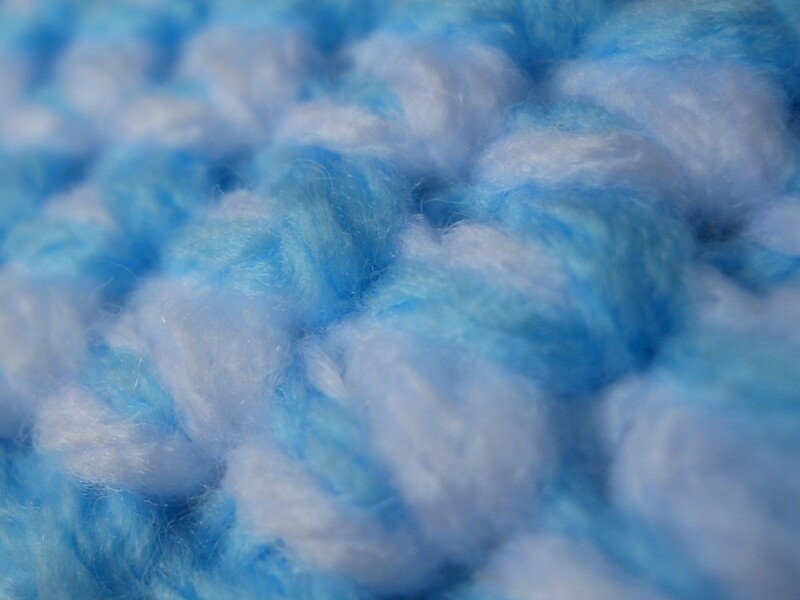 I just made that for the cover of the stitch pattern, thought it was cute. I'll share the pattern soon, promise. 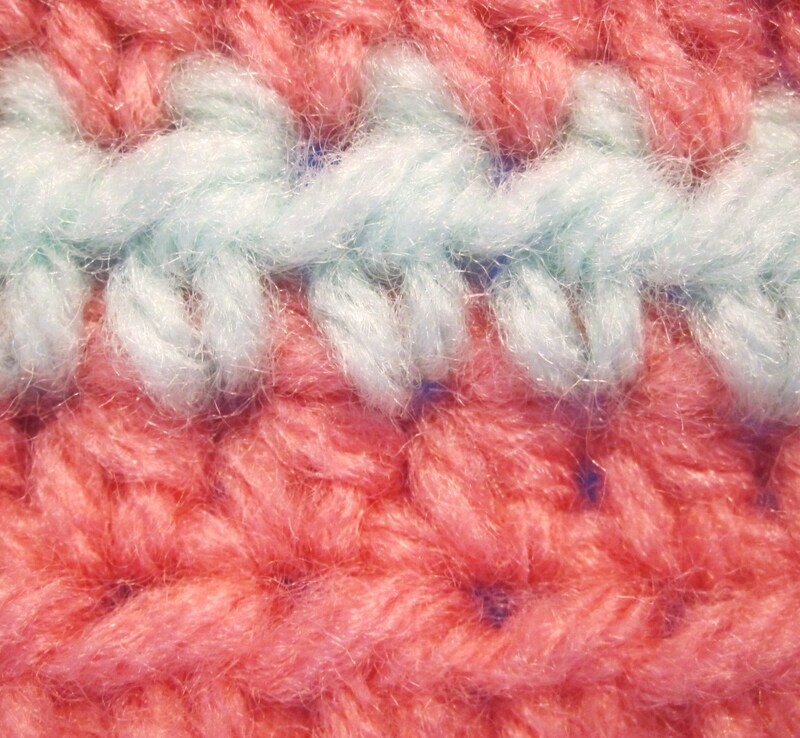 This stitch reminds me of the Star or Daisy stitch, except with that stitch you turn at the end of the row. As a result, the "legs" are in opposite directions and results in what looks like a "star" over two rows. 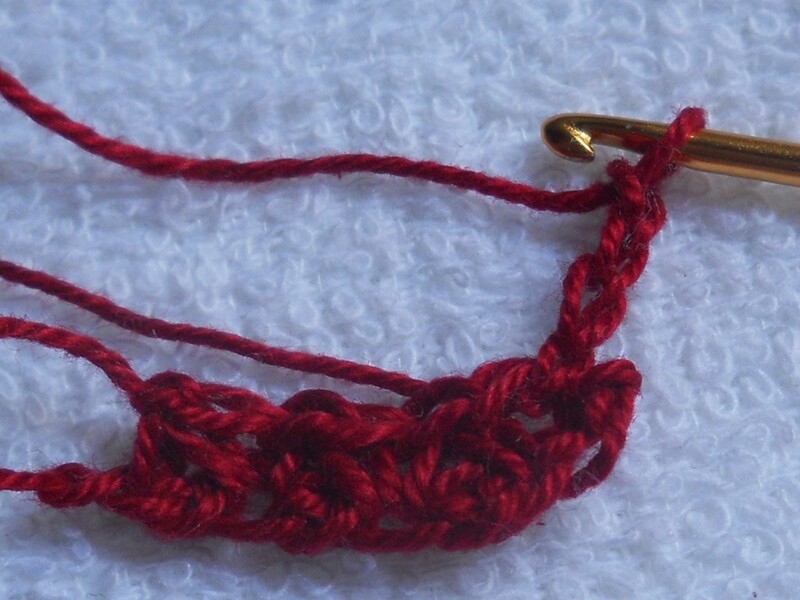 A headband is a great pattern for the pineapple stitch since you can use the ends to tie it in the back. 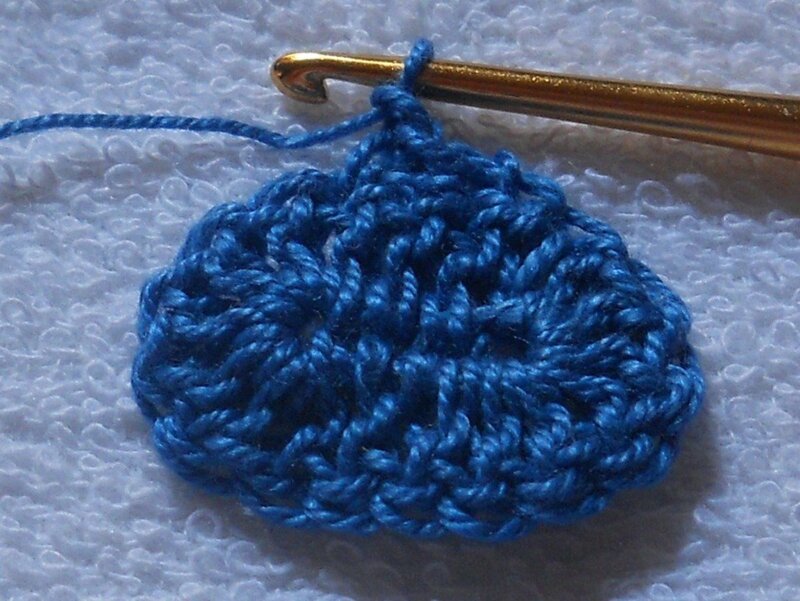 Crocheting in the round seems to be the best use for it. 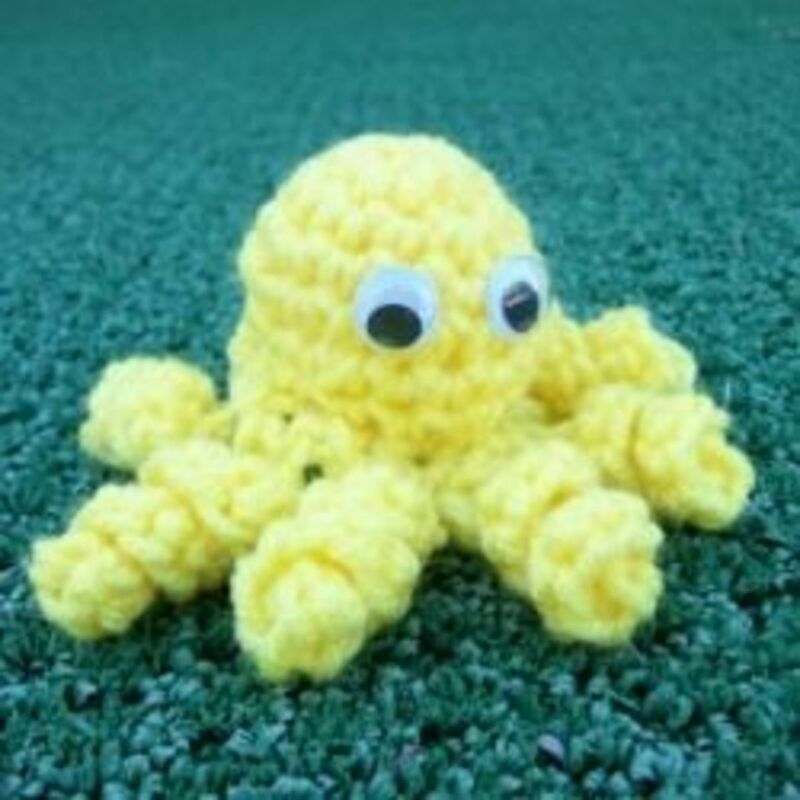 Moira, another great crochet hub. 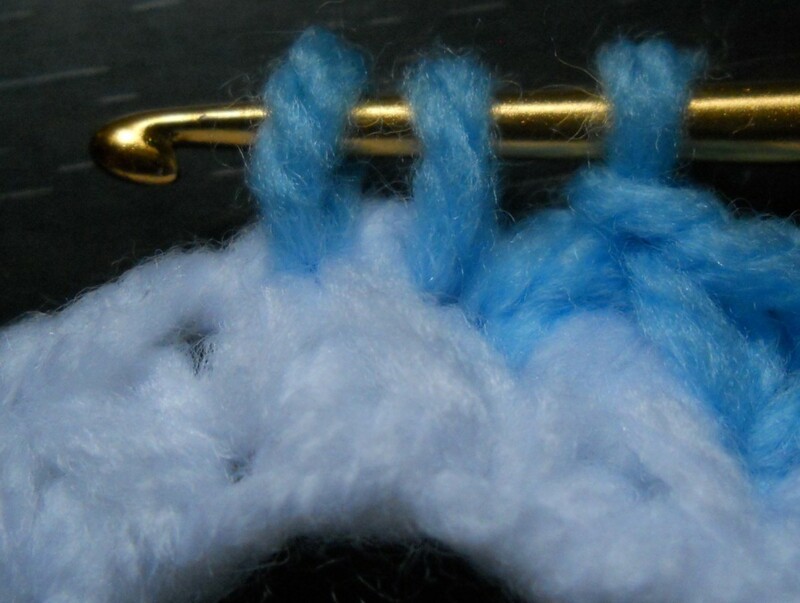 I liked this stitch and I will definitely try it. The most of all I loved that tiny pineapple in the intro photo. Do you have an instruction for it?